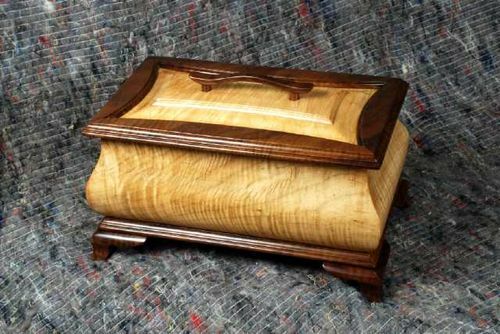 I've blogged about Charles Neil's "Mastering Woodworking" class in the past. Well worth it even if you have zero inclination to make the particular projects as he shows a bunch of great tricks to make things easier and safer. Add to that showing you a hundred ways to do accomplish the same thing with a variety of common tools and you have a winner. The upcoming grandfather's clock has my intrigue. Always loved those. The weekend before Thanksgiving, I organized a "Whirlwind Woodworking Weekend" in Los Angeles with friends including Chris Wong of FlairWoodworks who was down from Vancouver for a visit. I was going to gather photos from people and post them here, but the others have been posting them with fantastic dialog and story on the forum where this idea was hatched. That said, go give the thread a read over on talkFestool. More photos and links will continue to dribble in over this week. If you have the boom arm, you know it's fantastic keeping the hose off the ground, telegraphing over tools or curious dogs, and keeping the hose off your shoulder (what I used before the boom arm). Problem is when you aren't using the hose, it hangs there like an elephant's trunk. My $3 solution is a drill holder for pegboard (note that I got mine from a local big box, but that link is for reference if the pictures aren't clear). Click the image below to see it full size to see what I mean. I attached it to the boom arm with 4 ties, 2 crisscrossing each peg hook. Ridiculously easy to install; I straddled one of the hose holders so it wouldn't slide down. The benefit is that I can place the hose there quickly. In fact, I usually throw it there. Note that I have a D-36 hose on the boom arm. The 'throw' trick works best with the D-27 as it is considerably more flexible (kinda miss it actually). I use a D-36 because it works so much better with routers. The Domino XL DF-700 ("Domizilla" is easier to say...) is out in Europe, on the way here, but doesn't prevent us from making nearly 2 3/8" wide (58mm) mortises with its tiny cousin the DF-500. In this video, I'll show you how to create your own loose tenon ('Domino') stock from project scrap and plunge repeatable oversized mortises. Why would you want oversized Domino mortises? Many joints benefit from a larger mortise; best example is an apron-to-leg joint on a table. Sure you could plunge 2-3 regular Domino mortises, but this technique gives you another option. The video references a printable guide I put together to help calculate the size of an extra-wide mortise given a bit size and which offset cursor hair (the lines to either side of the center cursor) you use. Here is a direct link to the PDF you can save and print at home: Printable Extra-Wide Domino Mortise Guide. While this technique may seem more complicated than it is worth, I've certainly used it many times; using the Domino to plow a larger mortise is so much faster even with glancing at this chart than is pulling out your router, finding the upspiral bit and calibrating the edge guide. Give it a go on some scrap like I did in the demo and you'll find it pretty easy.